I want to put this out there very clearly: I am not concerned with the particulars of what it is you are struggling with, this information is meant to be very universal. My intention is to empower individuals to thrive in their life in spite of: pain, stress, illnesses, weight, anxiety, depression, mental health concerns, negative thinking, etc. Do NOT allow yourself to be defined by a diagnosis: I am very rarely ever heard saying, “I have ____”. I am very specific about my language because I am well aware that my subconscious mind is always listening. You may hear me saying things like, “I have been diagnosed with _____” because that is just a factual statement. It implies no ownership. I am very careful to view myself as a person outside of the illnesses my body has. Know your limits: Every human being alive has limits. Previously, I thought it was perfectly reasonable to be all things to all people. Now, I realize how foolish and ego driven this response is. Know how much time and energy you have to devote to certain things. Let Go of Shame: One of the things that I was blindsided with after being diagnosed was the amount of shame I carried as a result of allowing myself to _______. For me, in this instance it was for allowing myself to get sick. I know other people who struggle with similar thoughts but their fill in the blank answers include: gaining weight, getting into the car (and the subsequent accident), saying no, etc. Shame is absolutely debilitating. I have also come to realize that I couldn’t heal until I let go of the shame that I accepted. Let Go of Stress: One of my specialists actually states that if you are unable/unwilling to eliminate your stress he will not continue to provide services for you. Stress is basically the arch nemesis of health and wellbeing. I specialize in helping people let go of stress. In my life some examples of things I do to let go of stress includes: positive visualization, singing, nature, gardening, animals, as well as getting outside of myself! My list of ways to de-stress myself is basically endless. Positive Visualization: Every single day I spend time visualizing my positive, wonderful, amazing future. If you struggle with visualization then find pictures you can create in your mind. I’m not concerned with whether you are visualizing positive things or imagining positive things. The end result is always the same. Identify Positive Support: Having a toxic support system is very counter-productive. If I sense or believe that someone is toxic to me, or less than helpful, I absolutely limit my interaction with them. I suffer no guilt for setting these limits. Who in your life is positive, supportive, and loving? Surround yourself with those types of people. Ask for help: When I received the diagnosis I talked with my family. I literally told them I could keep working or I could be responsible for cleaning the house, but I couldn’t do both. They opted to have me keep working. If I’m having a higher pain day, I have no issue asking my husband to carry the laundry down the stairs for me. Asking for help is very empowering. In my life, I have so many people who love and care about me. Asking them for help allows them to be empowered and feel like they are doing something to help. Make Peace With Yourself: It’s impossible to heal and move forward when you are holding on to your past so tightly. Understand that most people are doing the best they can with what they have. The truth of the matter is that my best changes from moment to moment and from situation to situation. And that’s okay. I have made the decision to forgive myself and the rest of the world for everything that happened in my past. Resentment and anger do not serve me. Laugh…a lot: Have you heard that old expression, “laughter’s the best medicine”? There is a certain amount of truth in this statement. Besides being a distraction technique, laughter changes your vibrational frequency, and can change your perception of what you are going through. Know Yourself: Most people in the world are not skilled in the department of mindreading. If you don’t know what you want, need, prefer, believe how can anyone else. We have a responsibility to know ourselves and to communicate what we need and want in an appropriate manner. I know that I have a lot of energy at the beginning of the day than I do towards the end of it. As a result, if someone wants me to do something I am more likely to scheduled it in the morning. At the end of the day, please just be kind and loving towards yourself. Know that you make a difference and you matter! When I graduated with my Master’s Degree in Social Work I had no idea how grateful I would become that my program specialized in empowerment. My goal is to empower every human I come into contact with to improve their lives and achieve their goals. 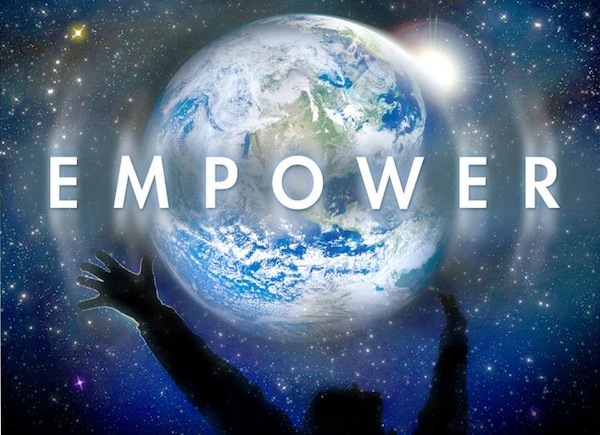 According to Webster’s Dictionary, the definition of empower is to make (someone) stronger and more confident, especially in controlling their life and claiming their rights. I can’t be the only person who, as I read that definition, feels it to the very fiber of my soul… right? We live in a society where disempowering ourselves and others has become common place. I could spend days talking about the mechanics behind becoming dis-empowered. I could even dedicate an entire blog to what it looks like if you have been dis-empowered. However, I don’t want to do that today. As I previously stated my goal is to empower every being I come into contact with. Therefore, I want to provide each and every one of you who reads this with a list of ways to empower yourself. Take time for yourself each and every day: Whether its ten minutes or ten hours is irrelevant. The goals is to become mindful of how you feel physically in your body. Notice the areas of discomfort as well as the areas of joy and peace. Laugh: When is the last time you deliberately laughed? I’m not talking the kind of laugh that you do to be socially acceptable. I’m talking deep…deep….belly laughed? Laughing does more than just distracts your mind. It raises your vibrational level and creates positive chemicals in your body. Find your voice: I will be doing another blog soon about the steps to take to reclaim your voice. But I would like to encourage you to spend some time everyday asking yourself the following questions: What do I want? Why do I want that? What brings me joy? How can I incorporate more joy into my life? What’s stopping me from living up to my true potential today? Affirmations: One of the most powerful things in my life today is affirmations. I consciously focus on reinforcing what I want, not what I don’t want. I leave post it notes and visual cues in my life everywhere, about what I’m focused on. Do me a favor, right now…. Write down three things that you want in your life. Here’s the catch though, I want you to write them as though they’ve already occurred. Visualization: Because I specialize in treating the subconscious mind, one of the techniques that I typically teach my clients in the beginning of working together is the power of visualization. Whatever your goal is (no matter how extravagant it feels) spend a few minutes every night as you go to sleep visualizing it having come true. I tell my clients that I want them to imagine this in as much detail as they can, using as many of their senses as they can engage. This programs your subconscious mind to allow this goal to occur. Prune your support system: There’s an old adage that you become what you surround yourself with. In my life this has proven to be very accurate. When I stopped surrounding myself with people who want to manipulate, control, or oppress me I noticed an increase in positive opportunities surrounding me. I am way too protective of my energy to engage with people who want to deplete it. That’s not meant to say that I don’t engage with them. I just ensure if or when I do that I’m protected. Sometimes I call them when I only have ten minutes to spare. Replace the tapes: I have worked with people who have struggled to not continue to replay the tapes of negative things that they have been told throughout their life. When you are struggling to change the tapes in your brain, I encourage people to do this literally. Many of my clients will create a long list of affirmations and record them in their voice. As they are lying in bed at night, they play this tape on repeat. De-Clutter: I’ve been going through my entire world and working on actively de-cluttering recently. This is everything from my thoughts, my wallet, my office and my home. This is one of the most empowering and freeing activities a person can engage in. I would encourage you to spend 15 minutes every day just removing clutter from your environment. Spend time in nature: This can be a very grounding experience for you. Whether it’s: mowing the yard, pulling weeds, noticing the wonders or planting flowers. This is an all-inclusive activity, you can do it anywhere, to any extent, at any time. Even if it’s just looking out the window at the clouds. Meditation/Self-hypnosis: This doesn’t need to be anything extraordinary or complicated. If you are a beginner at meditation simply do some deep breathing while reminding yourself of your affirmations. That’s a great place to start.